Thank you for choosing Doctors Hospital for your medical care. We believe the more information our patients have about their upcoming stay, the more comfortable and successful their patient experience can be. The purpose of this patient guide is to alleviate stress about your stay and answer frequently asked questions. 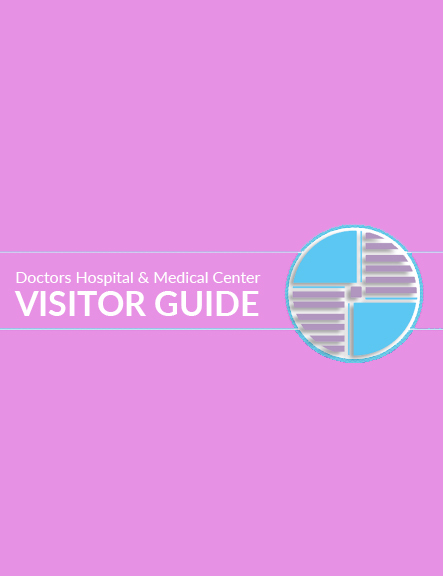 This guide will also cover what to expect from Doctors Hospital and what our staff expects from you as a patient. Patients should be informed at all times of any unanticipated outcomes of treatment and care. Doctors Hospital treats all patients and their attendants with courtesy and respect. Our staff expects the same from patients and their attendants so that we can all work together towards providing the best healing environment for all of our patients. When admitted at Doctors Hospital you will be asked to review and sign certain consent forms. These consent forms are present to ensure that you and the hospital staff are in agreement over various considerations regarding your treatment. Please make sure to review these forms in detail as a signature will represent your full agreement to the terms and conditions listed. Our goal is complete transparency with our patients. In emergency situations the doctor may not be able to communicate directly with the patient regarding their treatment. In these situations, we request that the patients loved ones designate one person with whom the doctor can communicate regarding the patient’s condition. Repeating information to multiple family members or friends can take away time that can be directed towards treating other patients with emergencies. The Hospital has a uniform pricing policy for all the patients who approach the hospital for their treatment / procedures along with an integrated software system for billing purposes and pricing policy is fixed through this system by the management. 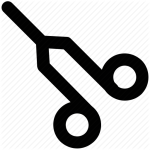 No individual operator can apply different charge for the same hospital service provided to two different patients. Tariff is made available for patients on verbally basis, however if patient requires a hard copy, it may be provided upon the patient request. The tariff is available with all operators in the system. They can print this tariff. Whenever a patient is admitted to the hospital for observation / medical management or some surgical procedure, they are educated properly about the estimated cost of treatment by the concerned staff at the counter. The Hospital bill contains two parts. One is Hospital billing and the other one is consultant portion. The hospital bill may be estimated according to the no. of days to be stayed in hospital and nature of procedure while the consultant portion may be updated after confirmation from the consultant. Sometimes patients approach the hospital on an emergency basis and have been advised for admission at some certain location. Secondly, it may be possible to shift the admitted patient to some other location according to the condition of the patient. The cost of treatment varies due to change in patient location. In these situations the patient and family is very well informed about the financial implication due to change in location according to the situation of the patient by the concerned Accounts Officer. Have a question or concern regarding our patient guide?